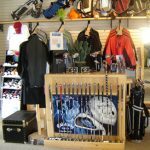 Building on our success from previous years, our pro shop commitment in 2017 will continue by carrying the most popular and player friendly golf equipment in the market. We are proud to maintain our partnership as a “Callaway Custom Fitting Facility” and will carry a full array of products from Callaway Golf & Adams, which includes the most popular Hybrid on ALL Tours. The increased selection will enhance the overall experience and opportunity to fill the needs of any golfer looking to save a few strokes during their next round of golf. Please ask any one of our CPGA Professionals on hand for information on product or custom fitting for your next set of irons or woods. Fresh new looks will be abundant for the 2017 season! Ladies will love the new 2017 fashions from Callaway, Sport Haley, Dexim, Lopez, Antigua, Sun Ice,Greg Norman & On Tour. 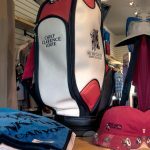 Men’s clothing lines including AUR, Antigua, Callaway, Greg Norman, Sunice, Tommy Hilfiger, On Tour will be displayed throughout the Golf Shop with a wide array of sizes and colours to choose from. 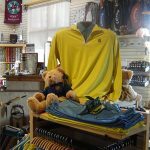 *Please ask our friendly and helpful staff to assist you with any needs you may have during your time at Nk’Mip Canyon Desert Golf Course! !